Home » Abanindranath Tagore. Princess Lotus. 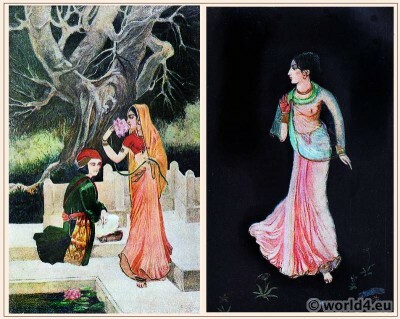 ” Princess Lotus ” and ” In the dark night ” by Abanindranath Tagore. ” Buddha and Sujata, ” from the drawing by Abanindranath Tagore. Abanindranath Tagore. Indian Artist 1871-1951. Princess Lotus, In the dark night, Buddha and Sujata. 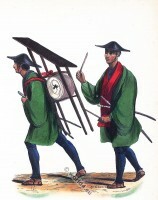 Japanese soldier with sword, bow and arrows. Gitanjali and Fruit-gathering by Rabindranath Tagore (1861-1941). 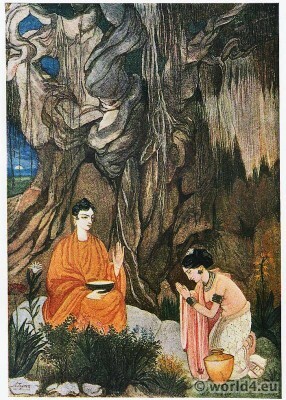 Illustrations by A. Tagore. Bengal fairy tales – by Birt Bradley. With Illustrations by A. Tagore. British Library: India Office Records and Private Papers. This entry was posted in 20th Century, Asia, Ecclesiastical, Fantasy costumes, Genre, India and tagged Artist, Traditional India costumes on 8/12/14 by world4.